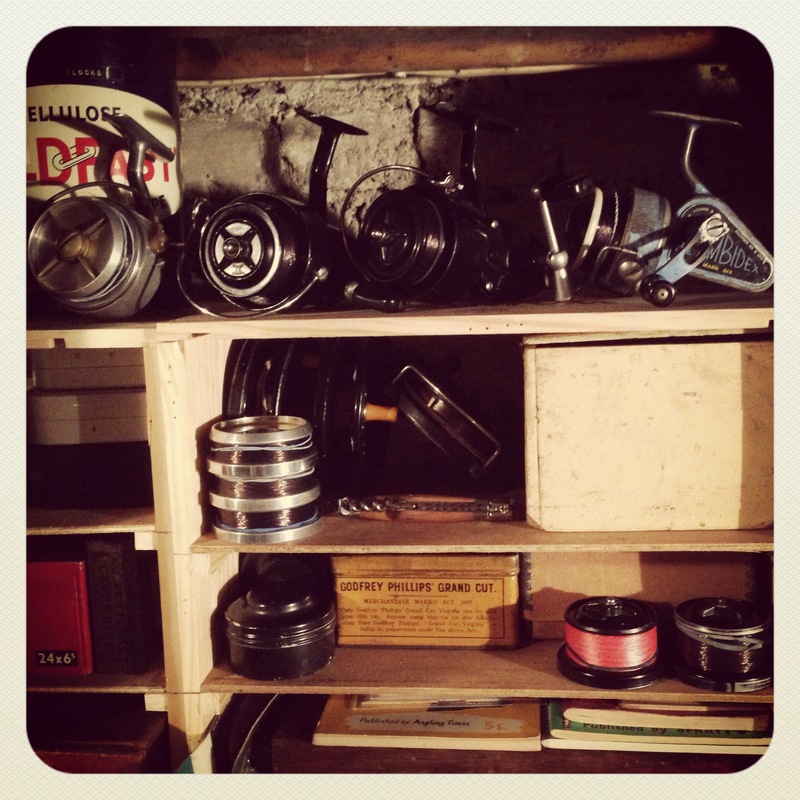 These are lovely old reels. I bet they have a few tales to tell. With you all the way on the Cardinal. I guess your not impressed with my final choice then Luke, a bit of bling? 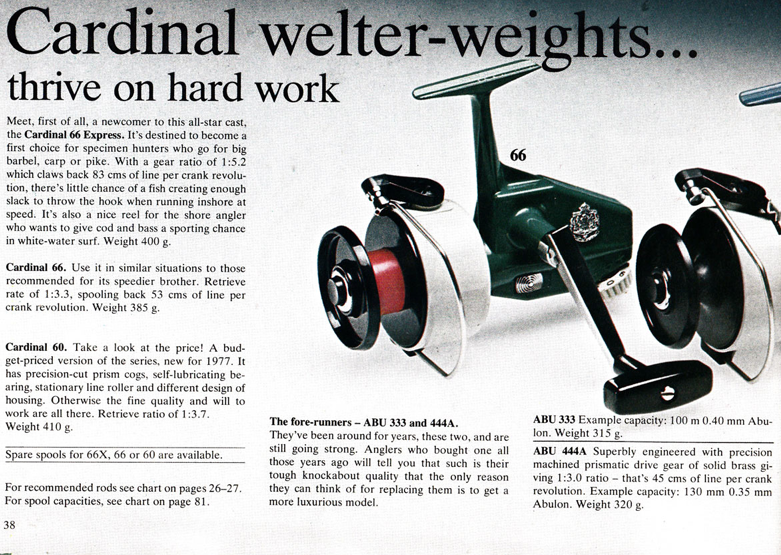 We share the same values on many aspects of fishing, much like you I like the robustness of the Abu reels and pair exactly the same one but on a Chapman 500 deluxe. My B James I keep for lighter river work especially as mine is a Kennet Perfection which I pair with a Speedia. 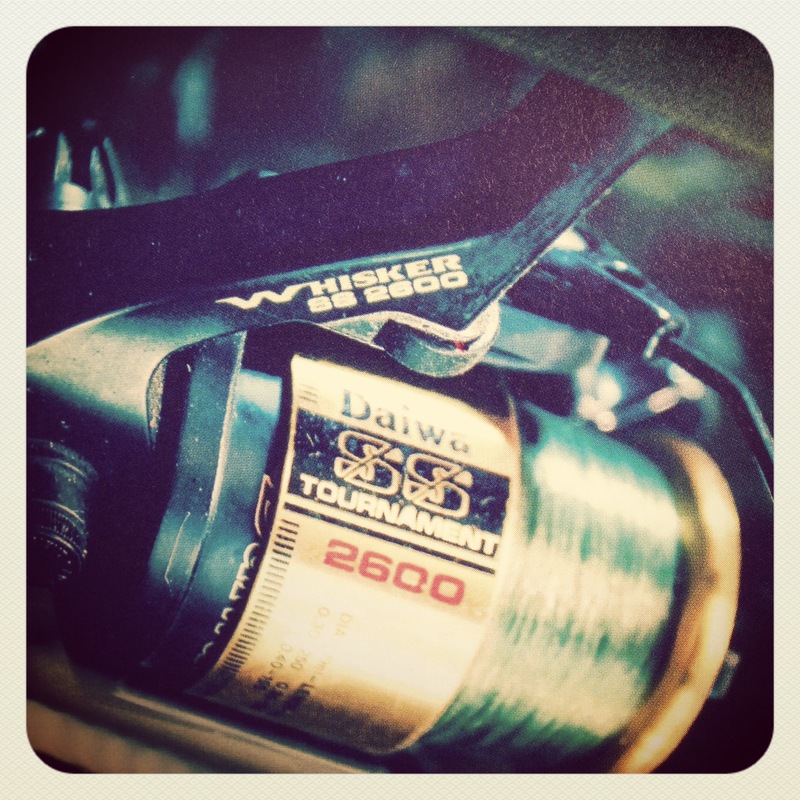 However the dilemma of pairing a contemporary reel resulted in the purchase of a Shimano 5500GT and for barbel using the 8000 Series. I believe a Mitchell 300 or Allcock’s Mark IV would manage most situations but it is that underlying thought of will it let go! On the point of spare spools for you 66 try James Partridge of Jim’s Reel Shop, I know he purchased a huge amount of new (old stock) back in from the US. We tight lines and I hope to have the pleasure of meeting you one day. I have tried Jim for 66 spools, no joy! Weirdly I saw one on Ebay last week, bid on it, and checked the auction after it had finished, nothing, my bid didn’t register and the spool went for a a lot less than I was willing to pay for!